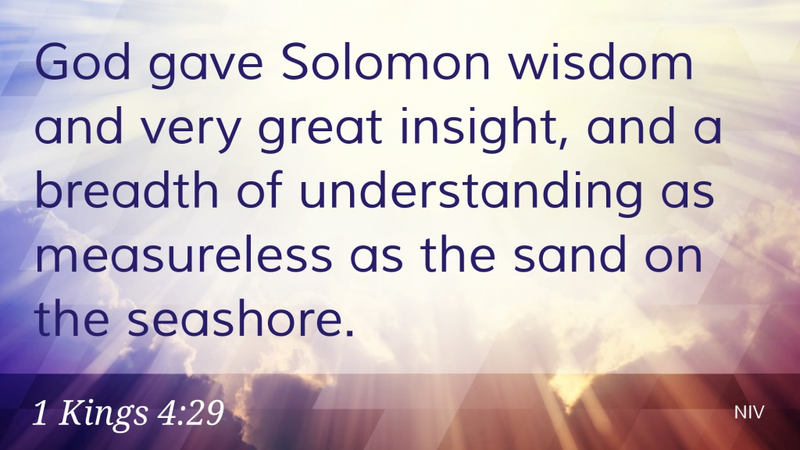 Continuing our look at Wisdom literature, we turn to Proverbs this evening and its author King Solomon, famed for his wisdom. This collection of sayings give some insight into God’s wisdom and why we should seek to be wise also. 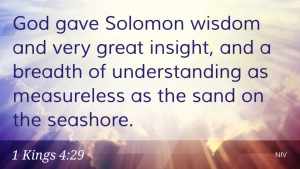 Who do you consider to be a wise person? Tell your group about one person that you know to be really wise. What makes that person so wise in your estimation? Give an example. What is one wise and one foolish choice you have made in your life? Share with your group the story behind each one. What were the consequences? Read James 1:5 and discuss what difference this makes to you.